Fliqi added a post in Current Affairs article 8 months ago. 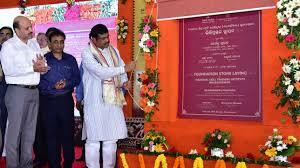 The Union Minister for Petroleum & Natural Gas and Skill Development &Entrepreneurship Shri Dharmendra Pradhan, laid the foundation stone for permanent campus of National Skill Training Institute (NSTI) for Women at Mohali, Punjab. 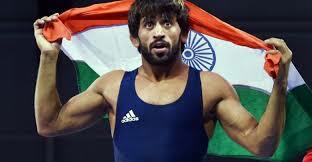 Indian wrestler Bajrang Punia clinched a gold medal in 70 kg category at the Yasar Dogu International 2018. The 24-year-old Punia did not have to compete in the final match as his Ukrainian opponent Yasar Dogu withdrew from the decisive game owing to an injury. 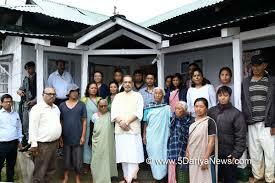 Union Minister for Agriculture and Farmers Welfare Shri Radha Mohan Singh said that Meghalaya Milk Mission. It will facilitate in achieving the Centre’s goal of doubling farmer’s income by 2022 through promotion of milk business in the state. 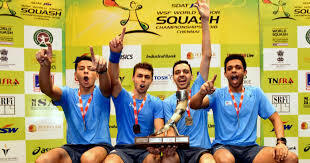 Egypt defeated England (2-0) to win the boy's title at the WSF-World Junior Squash team championship in Chennai(India). 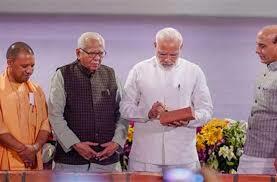 Prime Minister Narendra Modi laid the foundation of India's first Mobile Open Exchange Zone (MOX) at World Trade Centre, Noida, at a ground breaking ceremony here which saw the launch of 81 investment projects worth over Rs 60,000 crore in Uttar Pradesh. 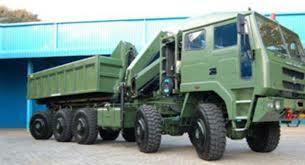 Ashok Leyland, Hinduja Group’s flagship firm, has got the contract from the Ministry of Defence for the supply of high mobility 10×10 vehicles. 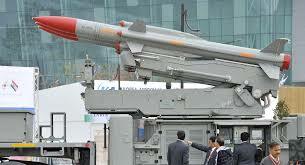 The high mobility vehicles will be used to carry smerch rockets in the Indian Army. 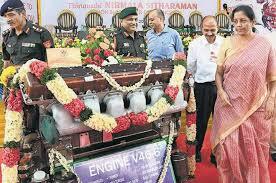 Defence Minister Nirmala Sitharaman formally handed over two types of indigenously built high-power multi-fuel engines to the Army. 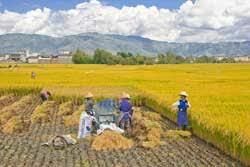 A recent publication by researchers at the School of Environmental Studies (SOES), Jadavpur University, reveals not only rise in arsenic contamination of paddy plants from ground water in West Bengal, but also that concentration of ‘arsenic accumulation’ depends on the variety of paddy and its stage in the crop cycle. 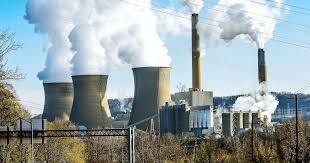 The Government has decided to set up a high level empowered committee headed by cabinet secretary P K Sinha and representation from the ministries of railways, finance, power, coal and banks having major exposure to the power sector to revive stressed thermal power projects. The Gujarat government came out with an 'Urban Sanitation and Cleanliness Policy' for better management of solid and liquid waste in cities. 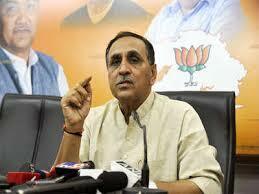 Among other things, the policy aims at complete abolition of manual scavenging. India plans to buy missile shield from U.S.
India is in talks with the U.S. to procure an advanced air defence system to defend the National Capital Region (NCR) from aerial attacks. The process for procuring the National Advanced Surface-to-Air Missile System-II (NASAMS-II), estimated at $1 billion, has been initiated. 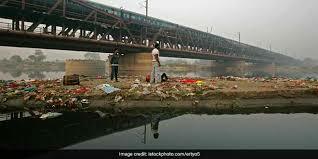 The National Green Tribunal today formed a monitoring committee on the cleaning of the Yamuna and directed it to submit an action plan on the issue. 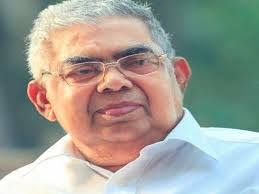 Senior Indian Union Muslim League (IUML) leader and former Kerala Minister Cherkalam Abdullah passed away. He was Minister for Local Self Government in the A.K. Antony cabinet from 2001-04. 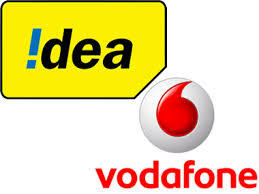 The Union Government gave its final approval for the mega merger of Vodafone and Idea Cellular which will create the country’s largest mobile operator with 35 per cent market share and around 430 million subscribers. 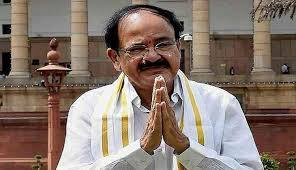 Vice-President M. Venkaiah Naidu has been appointed Chancellor of the Pondicherry Central University. The appointment was notified by the President in his capacity as Visitor of the university. 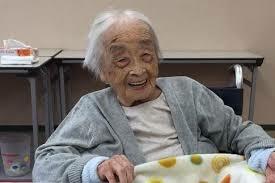 The world's oldest person, a 117-year-old Japanese woman Chiyo Miyako, has died. Her death was confirmed by Kanagawa prefecture, her home state south of Tokyo. The 6th India-UK Science & Innovation Council (SIC) meeting held in New Delhi discussed a range of issues on S&T cooperation between the two countries .Dr. 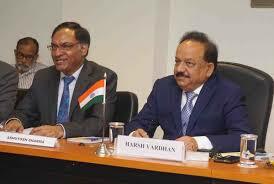 Harsh Vardhan, Minister of Science & Technology, Earth Sciences & Environment, Forests and Climate Change, India and Mr. Sam Gyimah, Minister for Universities, Science, Research and Innovation, UK led the Indian and UK delegations respectively. 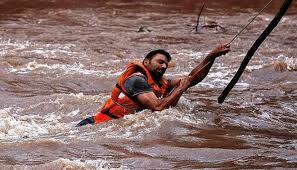 India has been designated as a nodal centre for preparing flash-flood forecasts by the World Meteorological Organization (WMO). That means India will have to develop a customised model that can issue advance warning of floods in Vietnam, Sri Lanka, Myanmar and Thailand, according to Dr. Madhavan Rajeevan, Secretary, Ministry of Earth Sciences. The World Hepatitis Day is celebrated on 28th July worldwide to raise global awareness of Hepatitis and encourage prevention, diagnosis, and treatment. The Theme for this year is " Test. Treat. 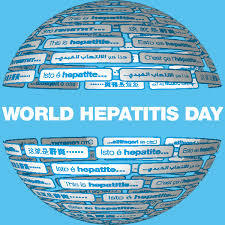 Hepatitis".